The ability to think about our thinking. but I didn’t have the slight edge of life experience yet to appreciate or relate to the nuances of character, setting, mood, and conflict. I loved The Phantom Tollbooth when I was 10, too, but probably wouldn’t have understood the jokes at 8 either. 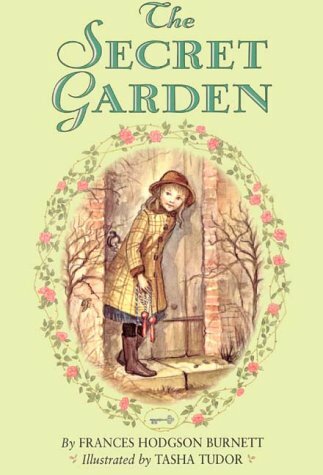 I will never forget how intrinsically proud I was of myself for trying again, and being so greatly rewarded with a book such as The Secret Garden. I made this young man promise me at some point in the future, he would put up Mockingbird again, and he gave me his word. 1. Please don’t raise the bar so high, so developmentally inappropriate that a child has no hope in succeeding. 2. Please don’t give children a sense of false self-esteem that they believe all they have to do is show up and receive a reward. This goes for students of poverty and privilege: guilt feeds inauthentic self-esteems of poverty, and entitlement feeds the hubris of privilege. It’s a balancing act, folks. Getting rid of all drill and direct instruction is no more appropriate than just having children talk about how they “feel”about the number seven. You are all expert teachers and educators, right? So, do you know when a text is kicking your students’ fannies? Better yet, have you taught them how to recognize when THEY are in trouble, so they can readjust? And for the love of Twain don’t tell them just to re-read it. Case in point: today in reading group we’re reading a story about Sammy Sosa. I know the rudimentary basics of baseball. My small group of students knew less than I did. There was one pun in the story, “Sammy left the ring for the dimond.” Hardy-har-har- that was in reference to when Sammy went from a boxing RING to the baseball DIAMOND. Okay. Check. My background knowledge is secure in those. But then there was another question: How would you list some of the mistakes he made? And one of the answers had to do with “cutoff man.” What? Does he wear jean shorts? Does he sweep-kick players when the ref, um, I mean umpire, isn’t looking? So, it’s almost the end of class, and I’m tired. I was flipping through the glossary, and there, is a definition for cutoff man. Hey kids, you know what, I got in trouble here with my understanding of how to answer this question – work with me here. So we had a mock baseball game in the class. I was Sammy Sosa, of course, working the in-field, and having to make a judgement about who to throw the ball to. It all made perfect sense. I told everyone then to remember next time they read something they don’t understand – act it out, say it out, think it out. It takes practice, and time. But if we really want to give our students access, we need to check in with them from time to time. Don’t let it slide by. Be their cutoff man. Because not everyone can have a Rushie.